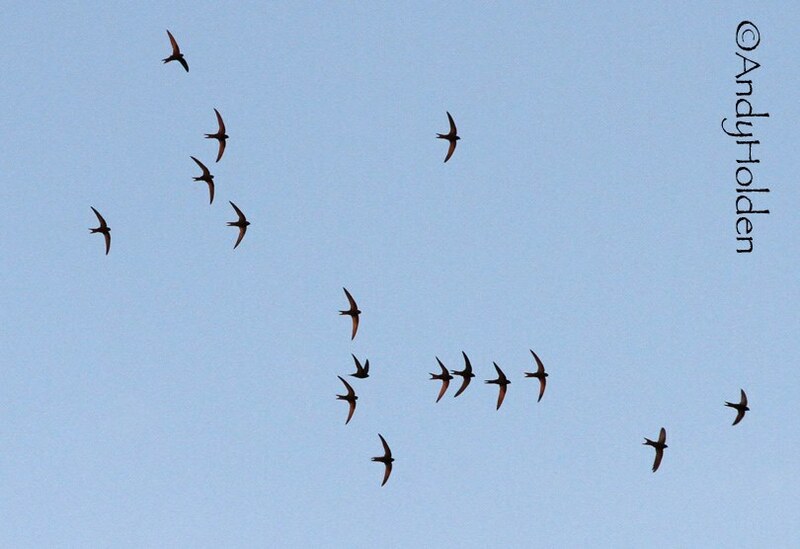 Well tonight was just amazing and we counted no less than 36 birds in one counting high above the Memorial Hall and Neddy Hill areas but there could well have been more in other parts of Burton, the skies were alive with Swifts everywhere! 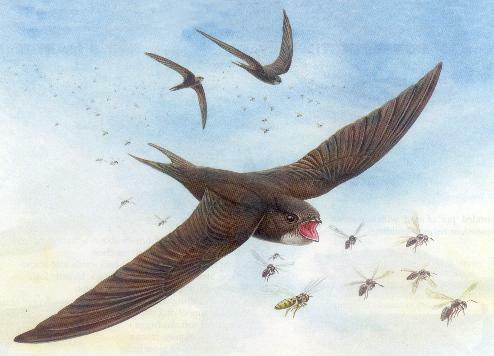 We all felt that perhaps many young birds must have joined the party or the large "ball" of Swifts which we were witnessing. At one stage we actually saw a group of no less than 18 birds in chasing procession and screaming as they went past us - high, some very high. Unfortunately the weather was not good and rain came in from 2030hrs so we actually curtailed our watch early, but what a fabulous spectacle. It's obviously getting very close to the leaving dates and I do intend to try and get out daily to do a rough count and hopefully try and assess just how many are still with us in the skies. Its the only way to find out the actual depart days and then it is only a "indication". We are still having a meet up next week because usually its during the first week in August that most of the birds will depart but like only two years ago the bulk of the birds decided to leave us on 28th July 2015. Tonight's observers included: David Craig, Reg Hesketh and Bryan Yorke.